Winter is upon us, and the fresh chill in the air brings with it a renewed sense of calm and quietness that other seasons can’t quite seem to emulate. The cooler months are the perfect time to slow down and make yourself a priority by realigning your mind, body and soul. It’s easy to say ‘no’ to the unknown. Often, we’d rather stick to what we’re used to and stay inside a warm comfortable bubble than say ‘yes’ to opportunities. 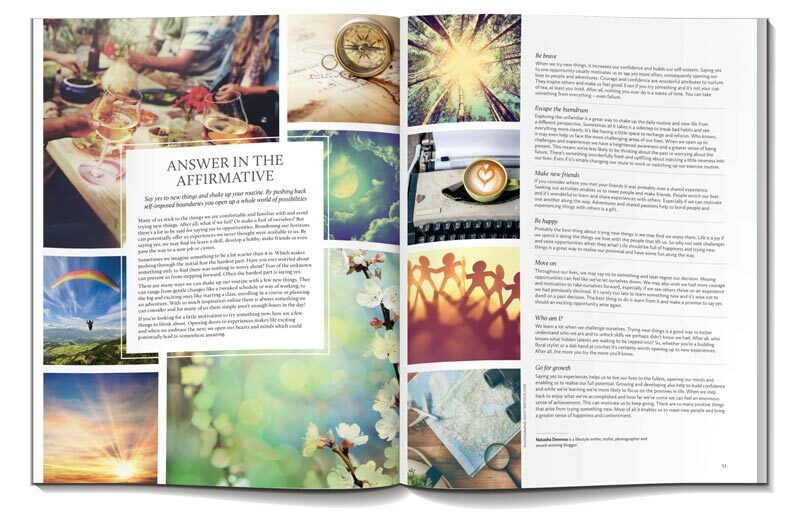 Lifestyle writer Natasha Denness’ piece on answering in the affirmative will make you challenge your self-imposed boundaries, embrace change and shake up your routine in order to open yourself up to new possibilities, and potentially, a whole new lease on life. If you suffer from self-doubt, crippling insecurities or irrational fears, you’re not alone. With our social media pages inundating us with the highlight reels of others, seemingly flawless celebrities and advertising telling us what we supposedly need to be happy, it’s no wonder more and more people are suffering from a sense of inadequacy. 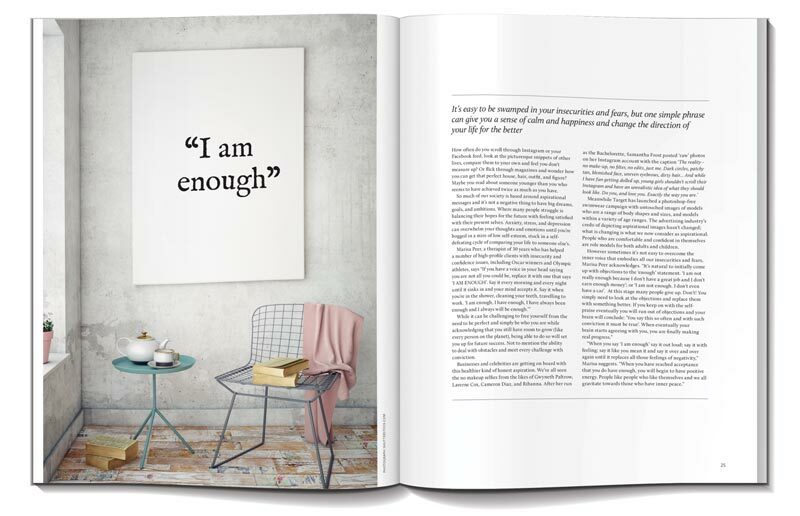 Breathe’s feature ‘I Am Enough’ will open your mind to a new way of thinking and restore your sense of calm and self-acceptance. When thinking of whipping up wonders in the kitchen this winter, you’d be forgiven if your mind skipped straight to the belly-warmers – rich hearty stews, thick velvety soups, or sweet tasty puddings. 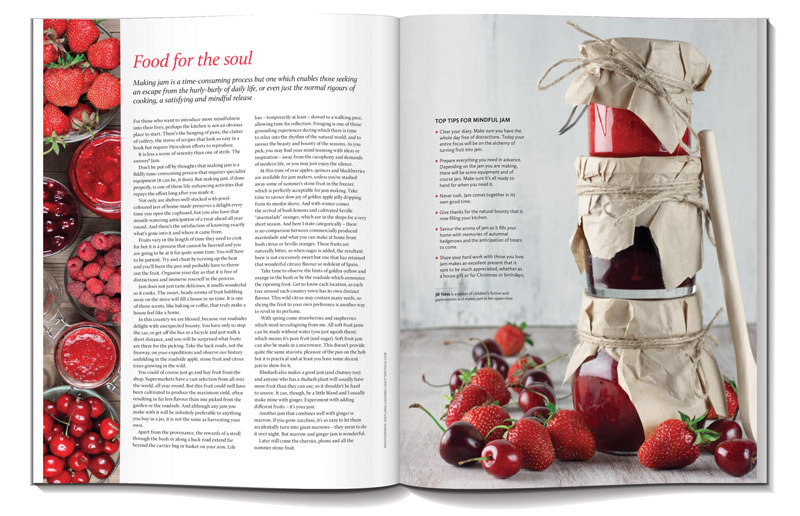 This month, Breathe offers up the tempting ritual of jam-making. Whether it’s with supermarket selections or harvested by hand from a country orchard, the practice of turning fresh fruit into jars of sweet salvation is a sensory pleasure like no other. The best part? Jam-making is a tradition that can re-invigorate the soul each new season. This month, our customary paper designs are re-fashioned into keepsake cards. The always whimsical and inspiring designs are accompanied with thoughtful prompts such as “A kindness shown to me recently was…” and “A few of my favourite small pleasures:” to stimulate and put mindfulness into practice. 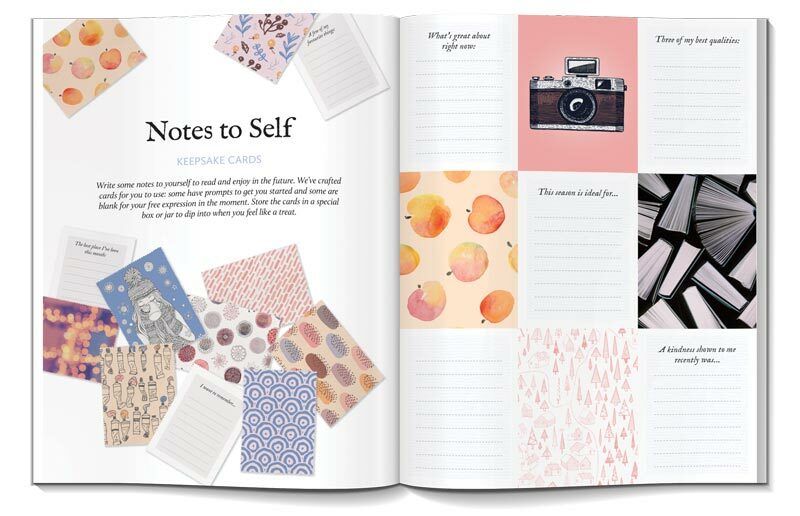 We’ve even included some tips on beautiful ways to store your notes, so you can get your mindfulness pick-me-up whenever it’s needed. Like millions of others, suffering the 9-5 was something high-flying corporate businesswoman Gaynor Leeper accepted as her fate. It wasn’t until a chance phone call from a friend that Gaynor’s life was turned upside down. She went from being a Global Internal Communications Manager for a telecom company in London to running a small dog sledding tourism business in the Arctic. In Issue 3 of Breathe, Gaynor offers us her inspiring story about how living outside your comfort zone has the power to completely transform your entire life. Subscribe to Breathe Magazine and receive a tube of 100% natural P’ure Papaya Ointment. P’ure Papaya is an ultra-rich nourishing ointment that combines 5 key ingredients to naturally restore, soothe and protect your dry skin this winter.